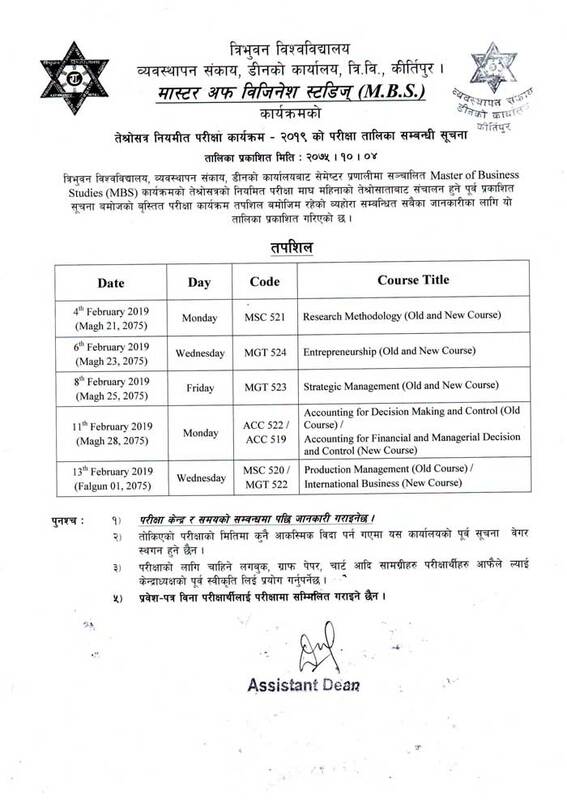 Tribhuvan University, Faculty of Management, Examination Controller Division has published the examination schedule of Master of Business Studies (MBS) Third Semester 2019. As per routine, the examination of MBS Third Semester starts on 4th February 2019 and ends on 13th February 2019. Examination center and Examination time will be notified later.